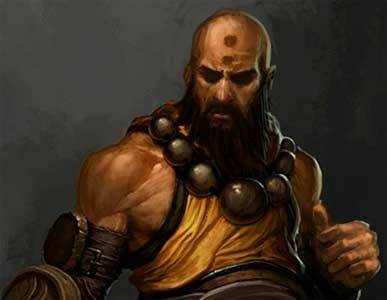 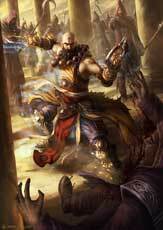 The Monk Class was officially introduced into the Diablo series with Diablo III in 2012. 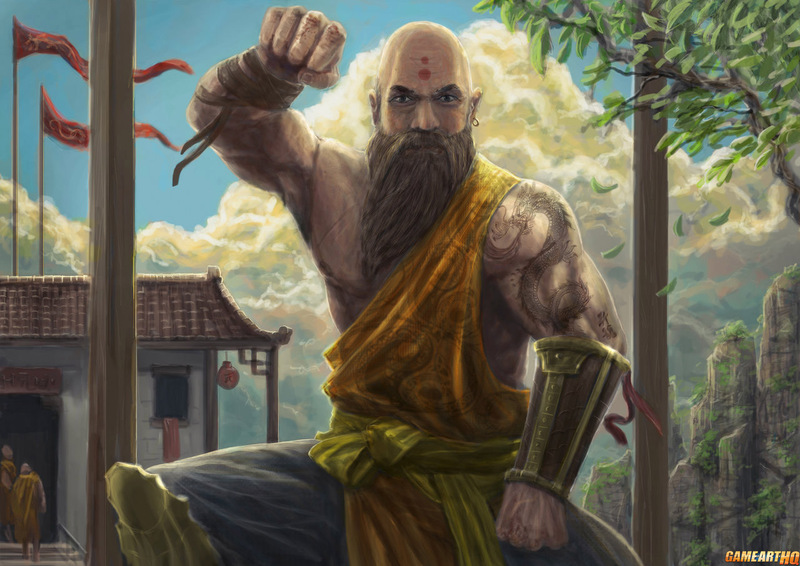 There was a monk class in the Diablo I Expansion already but Blizzard claimed that there are no connections between the new and old ones. 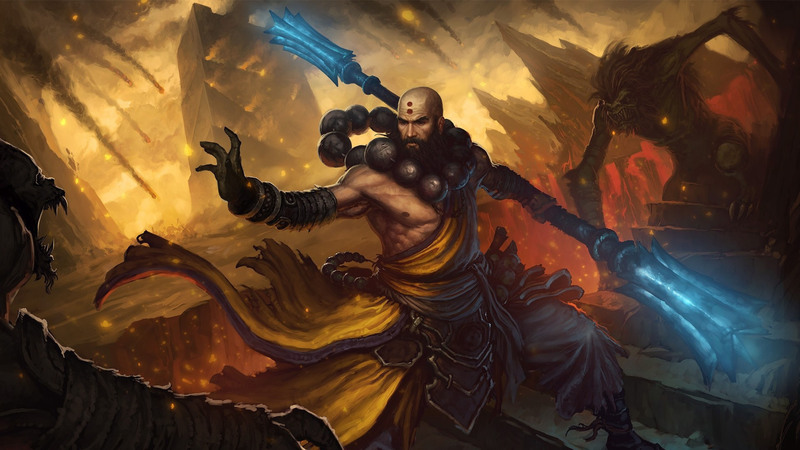 Monks are mostly melee fighters in Diablo 3, they have combos, aura’s and also a big focus on the character and fighting speed. 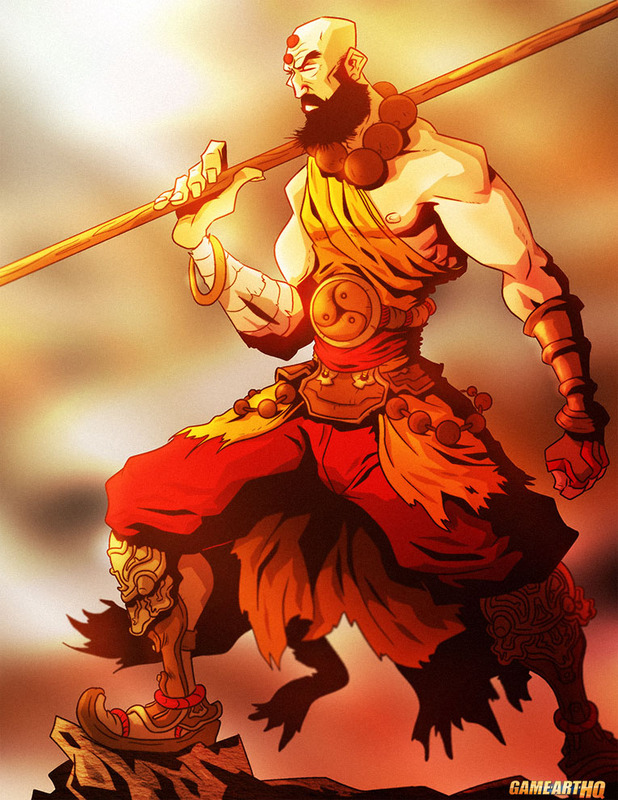 The Monk Class fights with Staffs and Claw like fist knives similar to those of the Diablo 2 Assassine and Voldo from the SoulCalibur games.